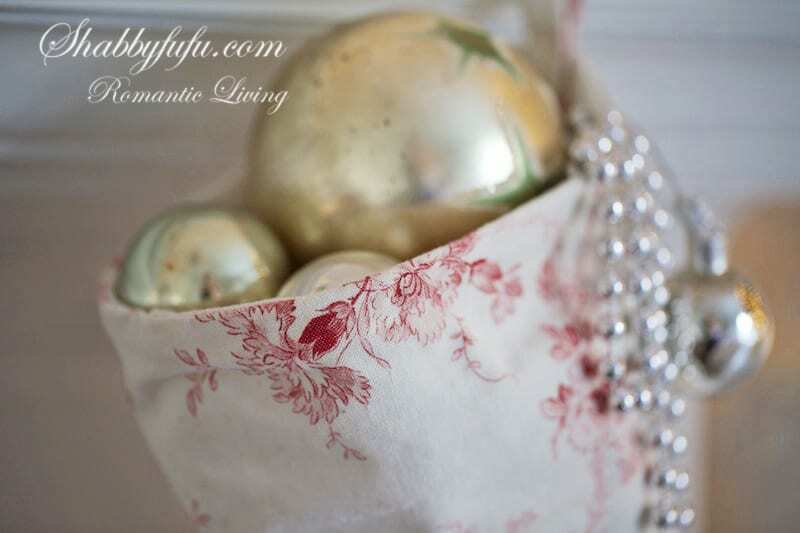 I’ve decorated for Christmas this year with a whimsical theme, lots of vintage pieces and a decidedly romantic vibe. Take some visual tips and copy this look but with your own style and shop around your home for similar pieces. 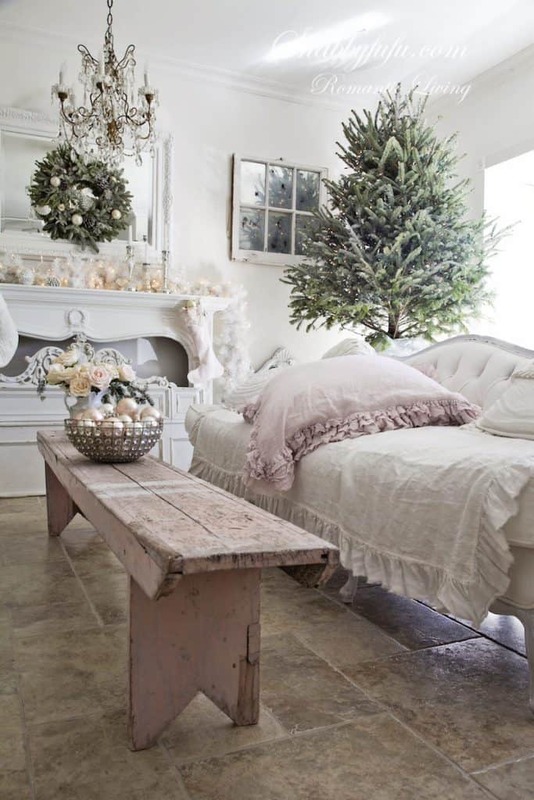 An old bench, a couple of blush pink pillows, pink Christmas tree balls and pink florals will add the perfect home touch! I have been collecting Christmas pieces for as long as I can remember in my adult life and dragged out the boxes of goodies with my theme in mind. Less is more, whites with natural greens, a bit of shabby chic and my French antiques. Today I’m sharing a few shots from the living room, and will share more of the home bedecking in future posts this week. 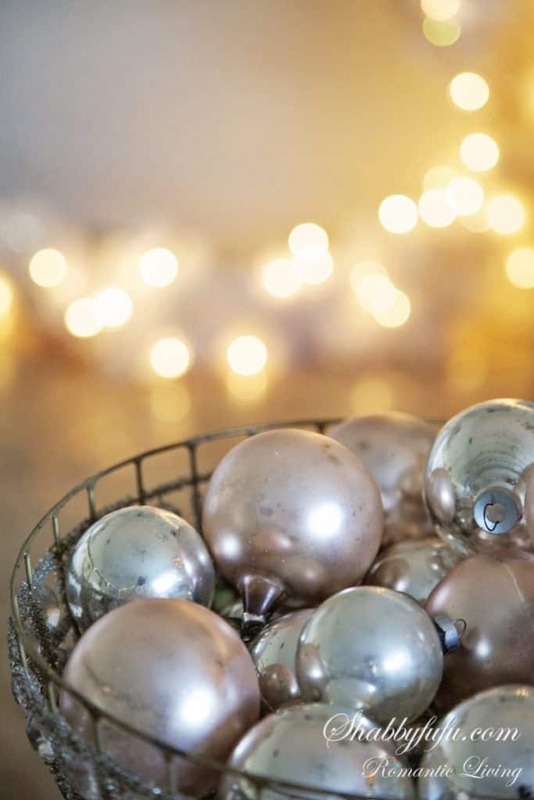 An antique beaded light dome turned upside down and filled with pretty vintage Christmas balls. The fresh cut Frasier Fir tree is free of ornaments this year and on a table to keep it puppy friendly. Old vintage French fabric made into a Christmas stocking by my friend Maria at Dreamy Whites. 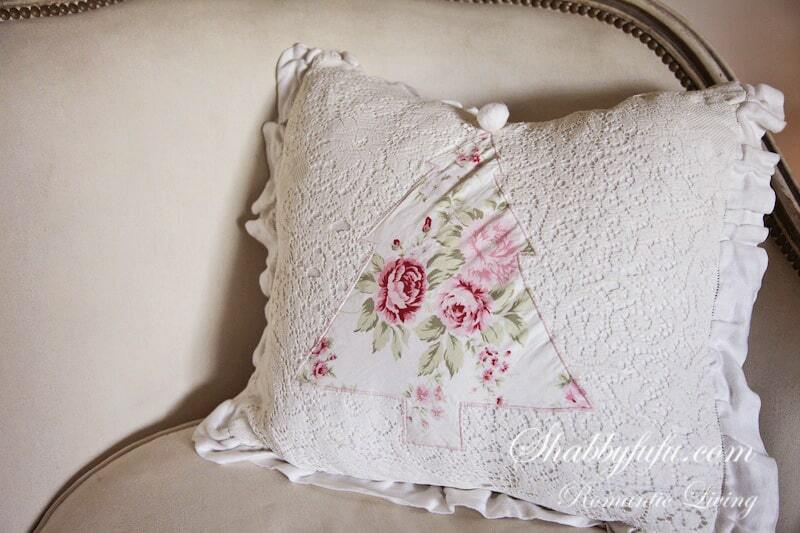 Pillow that I designed some years ago with an applique Christmas tree on vintage lace. I love to juxtapose elegant furnishings along with shabby pieces, like this old painted pink bench that I’ve had for a long time. 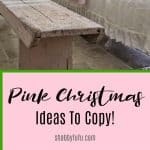 Elegant pink Christmas decorating ideas for a holiday mantel come easy. Fresh greens, simple touches…edit, edit and nothing over the top. Have a great week…I hope to squeeze another post or two in before Thanksgiving to inspire. For more PINK decorating, you might enjoy THIS POST. absolutely stunning – and so inviting. Christmas at your home must be so magical! How beautiful everything is! I am always in awe of all that you do! 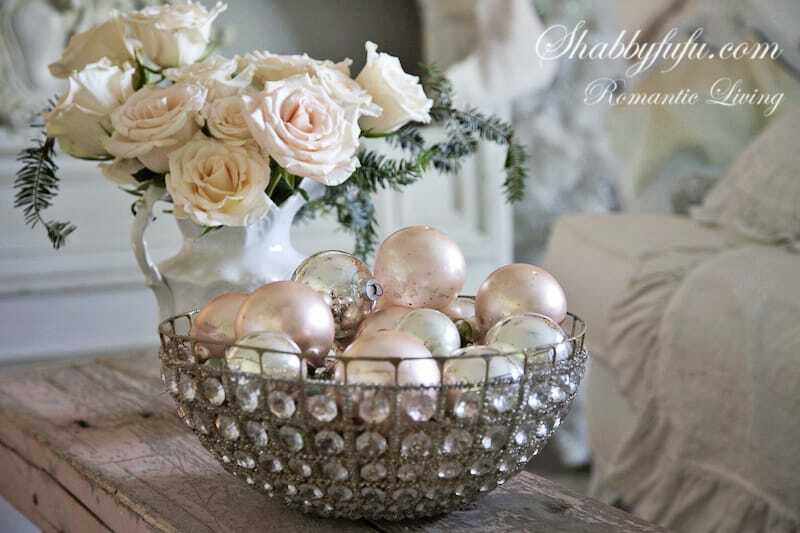 You've inspired me to do winter roses instead of my usual poinsettias…can't wait. I am so happy that Kris featured your blog so that I could revisit. Everything looks lovely in your "white house". 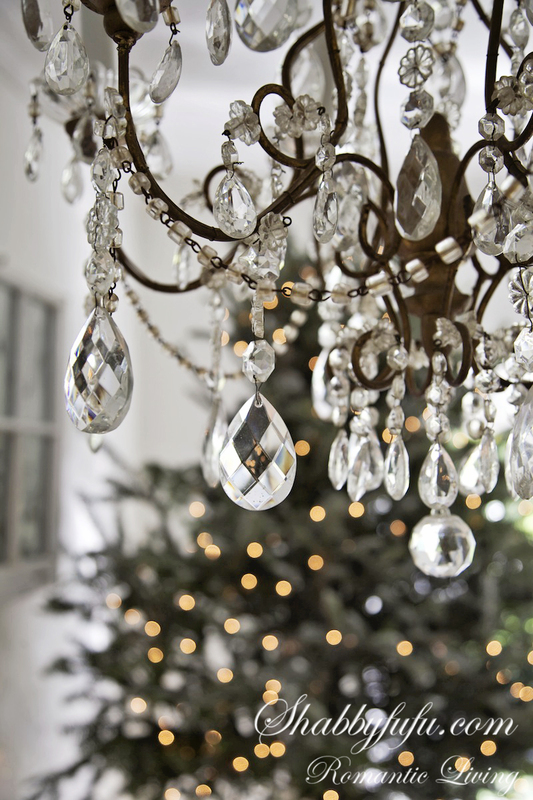 WOW all is very very beautiful Janet-amazing chrisstmas decor!!!!!! Oh my goodness! Love, love, love! As I said on another "white" blog. This makes me feel like I am in a Winter Wonderland. So absolutely beautiful! As usual… breathtakingly beautiful Janet! 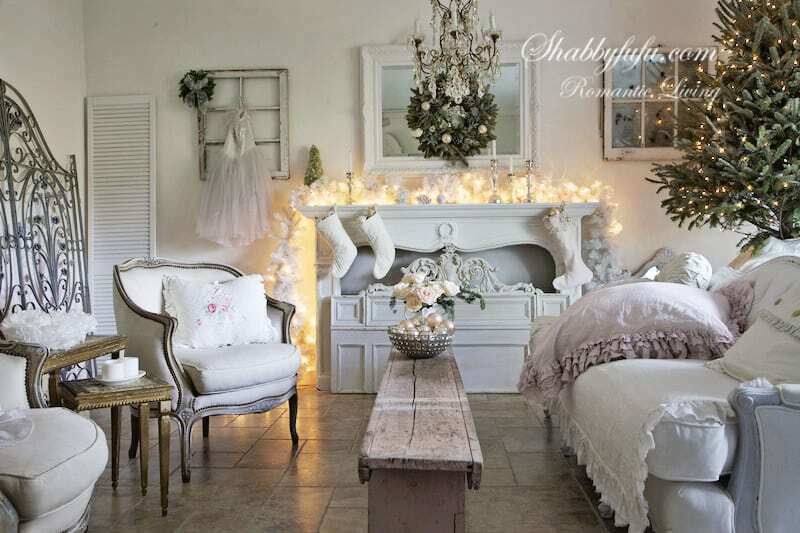 Everything is beautiful, charming, natural and chic, love your color Christmas palette! Your beautiful room just makes me happy! Hello, Would you by chance remember where you got that pink pillow? I would really love one or two. Thank you! You inspire me! Thank you, I love Roses and the color Pink!